This Press Release can also be found on The New Book Journal in Author Announcements. PRLog (Press Release) – Mar 28, 2011 – Palm Coast, FL— Sirius Press, Inc. announces Energetics: The First Order—the first book in the new Science Fiction Thriller series The Four Orders of Inherent Freedom, by authors Daniel Ward and Terre Britton—has sparked two more enthusiastic 5-Star Reviews by fellow authors Craig Chicoine and Thomas Drinkard. They can be found on Amazon and Goodreads. “The story is well crafted with all the twists and turns, and clever moments, of the best sci-fi thrillers. It’s charged with suspense, humor and passion-with a spark of unpredictability. It is sure to keep the reader interested and eager to read on,” says Craig Chicoine. Thomas Drinkard—a.k.a. Merlyn—writes, “Britton and Ward will take you on an adventure with three scientists who discover new insights in a world of complex math. They draw on the historical inventions and proposals of Nikola Tesla whose electronic creations are present in our everyday lives. All paperback copies are signed by the authors. Terre Britton is a Graphic Artist, Illustrator, Video and Motion Graphics Designer. She holds a degree in History in Art with a minor in English and is a past published Art Reviewer for Regional News and Victoria News, Victoria BC, Canada. More recently, her corporate articles are published online with RIM Education, for Cohasset Associates, Inc., Chicago IL. Daniel Ward is a Certified Deposition Video Specialist and a member of the American Guild of Court Videographers (AGCV). He is an Electronics and Sound Engineer, Musician, Inventor, Author and a mobile Notary Public. Daniel and Terre are married and live in Florida, USA. In addition to upcoming eBook services, Sirius Press, Inc. is a company focused on educating and promoting first time and established authors. Sirius Press, Inc. is a resource center for writers. 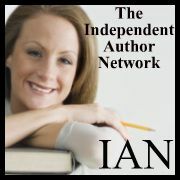 Our focus is to help educate and promote new and established authors. In the near future, we will be offering eBook conversions.